Screen-wipers are special brushes located on windshield wipers in order to provide the driver with good road visibility. They are often replaced because of regular usage for windscreen cleaning. 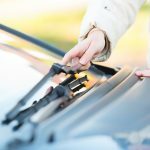 If your screen-wipers are leaving scratches and stains, it is a sure sign that they have deteriorated and need to be replaced as soon as possible. 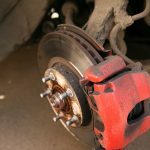 Why do brake pads squeak? Squeaky brakes cause the driver a few minutes of anxiety every time he slows down. Naturally, here comes the big question: why does the squeak happen and how can you fix it? In fact you don’t have to call a car service. You can deal with the situation yourself.